Home SharePoint 2010 SharePoint 2013 SharePoint 2016 SharePoint Online Workflows Approval Workflow Missing in SharePoint 2013? 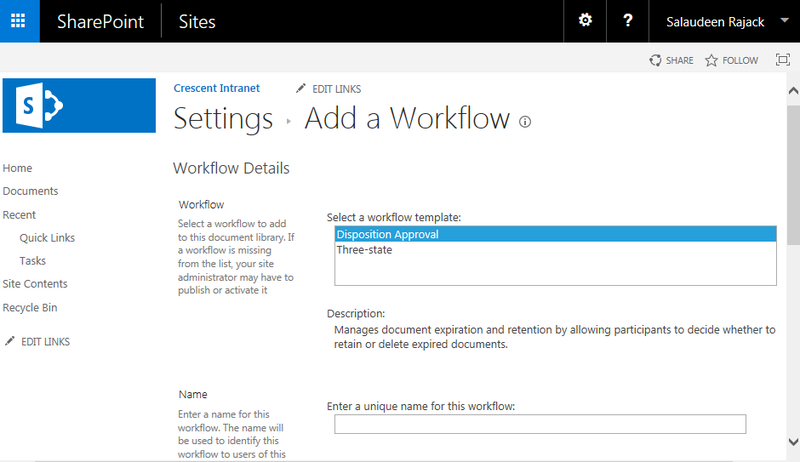 Problem: SharePoint approval workflow not available! This happened after migrating from SharePoint 2013 to SharePoint 2016! 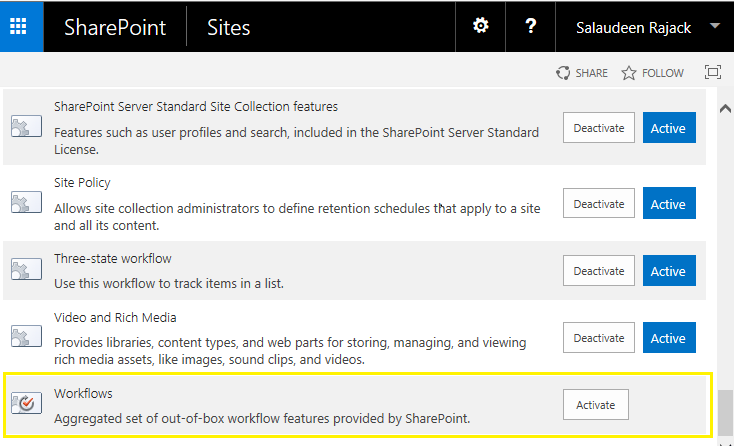 Click on Site settings gear >> Click on "Site collection Features" and click activate button next to "Workflows" Feature. You can use PowerShell to activate workflow feature on all site collections, which resolves approval workflow template missing issue.